Have you ever held a cameo in your hand and felt the finely-carved lines with your finger? If so, you understand that each and every cameo is a miniature work of art. Whether carved in carnelian shell or the rare sardonyx shell, mother-of-pearl or agate, cameos have an exquisite classic beauty that has held the attention of generations. And cameos make memorable gifts: they’re great for graduation, Mothers’ Day, Valentines day or your wedding anniversary. At The Cameo Collection, we sell some of the finest cameos in the world. 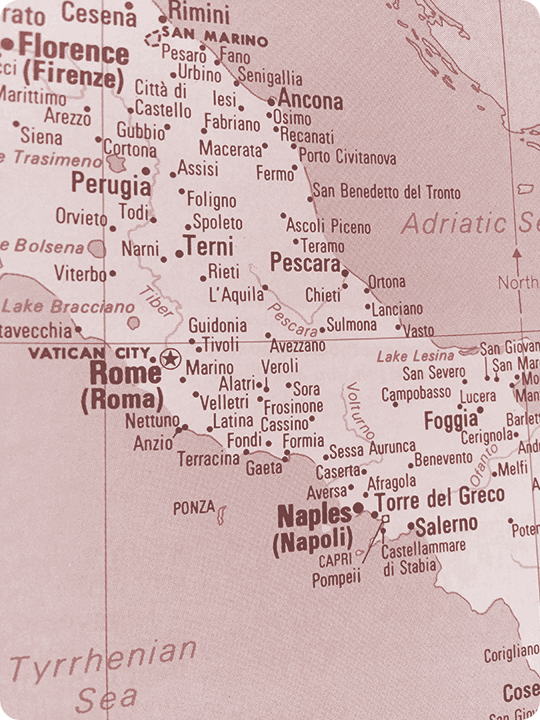 Imported from the city of Torre del Greco, Italy, the center of cameo carving in the world–our cameos come directly from the studio of the master carver Gennaro Borriello, who employs trained artisan carvers. This relationship ensures that each hand-carved cameo we sell is produced by artists whose hands understand the shells they carve and the timeless beauty they create. You never actually own a real, hand-carved cameo; you merely look after it for the next generation. The carnelian shell is the shell most frequently used for cameo carving. In color, carnelian shells are a low-intensity peach or orange color, offering contrast between foreground and background colors. The sardonyx shell has a thick outer wall and a dark brown interior, and when carved it can resemble marble. Cameos carved in sardonyx shells are distinctive in color with a dark brown background and white foreground, and frequently cost more because the shells are rare. Some cameos are carved in mother-of-pearl, producing a cameo of an opalescent, bluish-gray color. These cameos are best set in silver. Our Agate cameos are carved ultrasonically. Blue or green in color, these cameos come from Germany and have a more modern look, despite the fact that agate has been used for cameos for centuries. Many of the cameos are set in sterling silver or burnished silver. Others are set in 14K gold. The shell cameos, imported from Italy, are all signed on the back by the master carver Gennaro Borriello who owns the studio. Master carvers will sign the cameo on the front of the carving. Thanks to Anna M. Miller’s book Cameos Old & New for shell information. 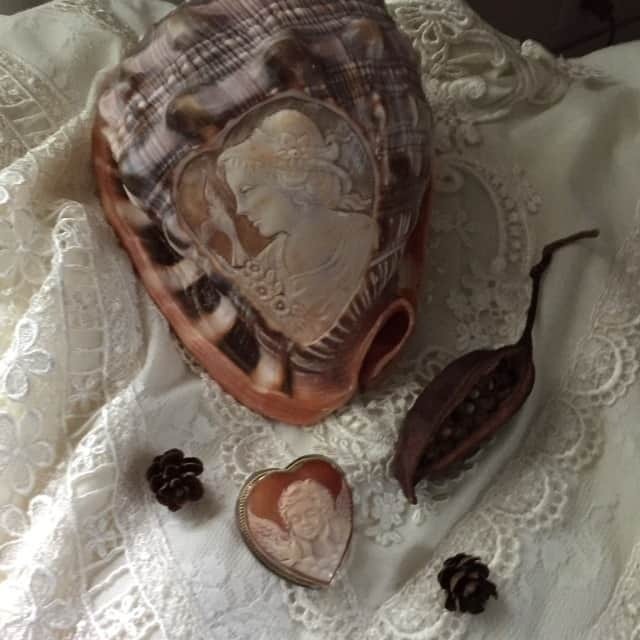 The most popular cameos today are carved in sea shells, a tradition that began in the fifteenth or sixteenth century and was popularized by Queen Victoria of England. Since that time, cameos have predominately showcased women’s profiles, and been worn by women who enjoy the beauty and craftsmanship of hand-carved cameos. Yet cameos have not always been decorative jewelry for women. In fact, at different points in history they have been worn as frequently by men. While the birthplace of the cameo was nearly 300 years before the birth of Christ in Alexandria, Egypt, cameos owe their origins to ancient carving traditions. As far back as 15,000 BC, petroglyphs — figures carved into rock — were used to record significant events and communicate information. In ancient times people used cameos to depict an ethic or moral, or to make a statement about their faith or loyalties. Early Greek and Roman carvings featured images of gods and goddesses, themes from mythology, beautiful women and biblical events. Many cameos through history depict living heroes or rulers. In the Hellenistic era young women used cameos as charms to express desire. 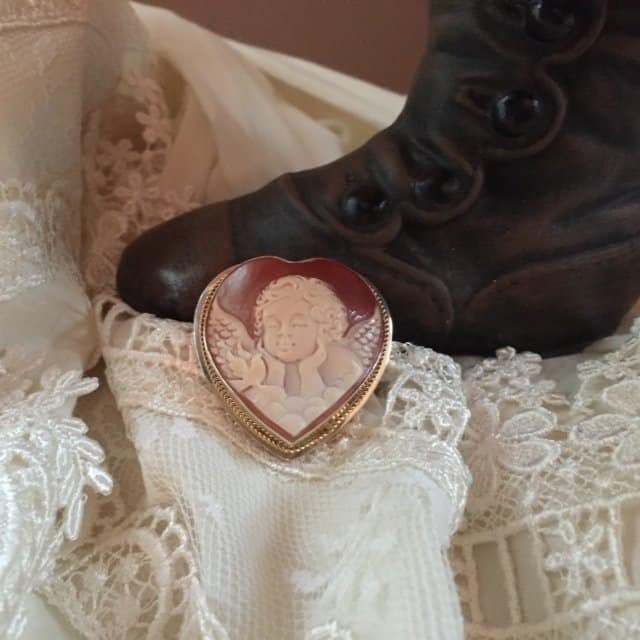 A woman could wear a cameo depicting a dancing Eros as a seductive invitation to love. During the Renaissance, Pope Paul II was an avid cameo collector. According to history, this love ultimately led to his death. His excessive display of carved gems and stones on his fingers kept his hands so cold that he caught the chill that meant his death. Cameos have been used on helmets and military accessories like breastplates and sword handles, on rings and other jewelry, and on vases, cups and dishes. Women began collecting cameos to prove cultural status during the Elizabethan period. At the same time, tourist travels to the ruins of Pompeii were on the rise and women began collecting shell and lava cameos as souvenirs to remember their travel. During the 18th century, men purchased carved gems to mark their prestige and culture. Cameos enchanted Napoléon, who wore a cameo to his own wedding and founded a school in Paris to teach the art of cameo carving to young apprentices. Not until the nineteenth century, when the popularity of shell cameos grew — reducing the use of hardstones or agate — did profiles become as popular a subject matter as they are today. Thanks to Anna M. Miller’s book Cameos Old & New for these bits of cameo history. After the sardonyx or carnelian shell is selected, it is divided into two parts. One part of the shell is used for souvenir items and trinkets, and the other part — thicker and more richly colored — is used for cameos. The part of the shell to be used for cameos, called the cup, is then divided further by a cutter. The back of these pieces of shell are then smoothed and rounded, and finally attached to a wooden stick for easy handling by the carver. The rough, curved outer layer is left exposed for carving. Carvers work with a carving tool called a bullino, introduced by Italian carvers several hundred years ago, or small dental drills, to grind away shell. After drawing a sketch of the subject matter on the shell, the carvers use traditional cameo carving tools to create the image. Most carvers sit near windows to take advantage of natural light, doing the majority of the work by hand. Cameos can take a few hours or a few days to complete. Thanks to Anna M. Miller’s book Cameos Old & New for production information.